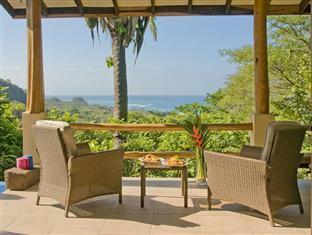 ﻿ Best Price on Hotel Casa Chameleon in Malpais + Reviews! Have a question for Hotel Casa Chameleon? Renovated in 2012, Hotel Casa Chameleon is committed to providing guests a pleasant stay whether in Santa Teresa for business or pleasure. From here, guests can enjoy easy access to all that the lively city has to offer. Offering hotel guests superior services and a broad range of amenities, this property is committed to ensuring that your stay is as comfortable as possible. While lodging at this wonderful property, guests can enjoy free Wi-Fi in all rooms, room service, tours, parking, and a restaurant. Hotel Casa Chameleon is home to six bedrooms. All are tastefully furnished, and many even provide comforts such as internet access, a mini-bar, a private pool, air conditioning, and a fan. The hotel's host of recreational offerings ensures you have plenty to do during your stay. Whatever your reason for visiting Santa Teresa, Hotel Casa Chameleon is the perfect venue for an exciting break away.